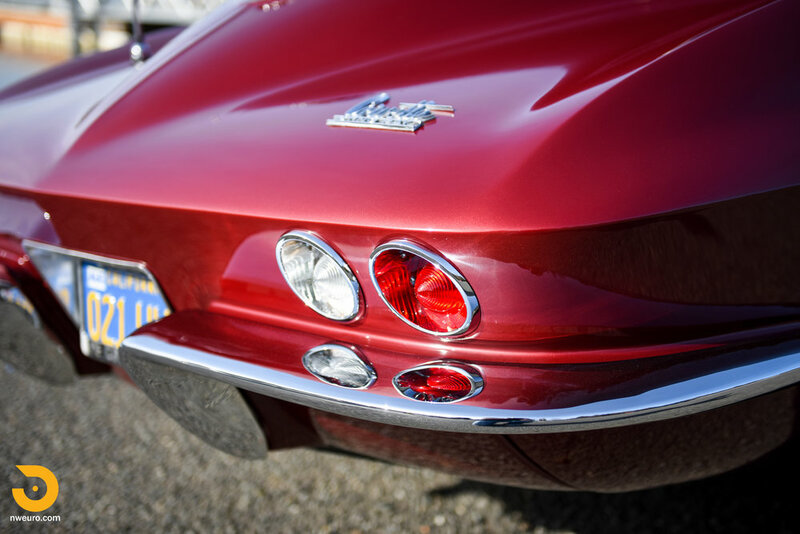 This Corvette was built in April of 1966, at the St. Louis Corvette assembly factory. 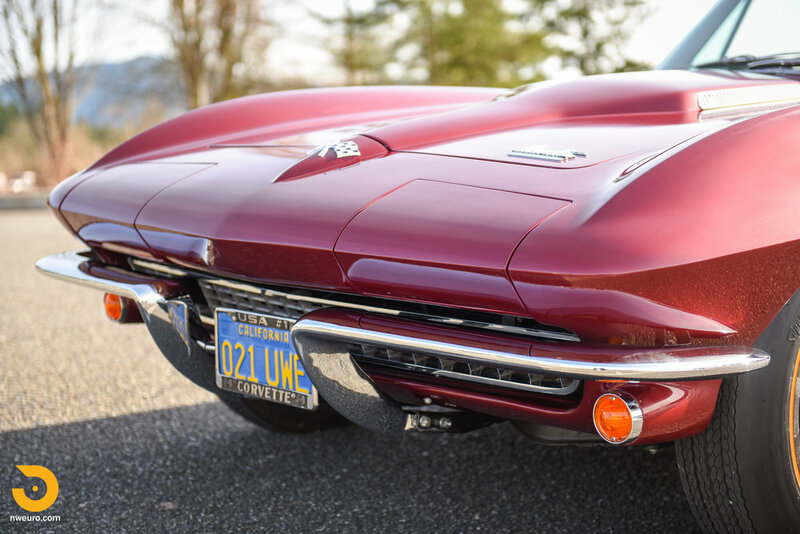 Freshly restored to the “as delivered” state, featuring handsome Milano Maroon paint over a Saddle vinyl interior. Featuring a 425hp option engine, sidepipes, 4 speed manual transmission, and a Positraction rear end. 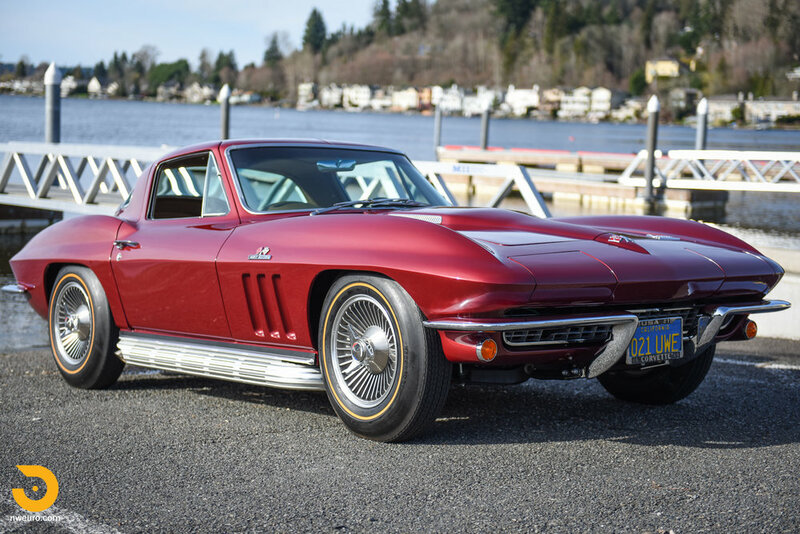 Mileage is indicated at 49,500, and is believed to be original based on condition of the car prior to restoration. The car has not yet participated in any NCRS style events, but informally has been reviewed and deemed as “very nice” by two independent NCRS judges. 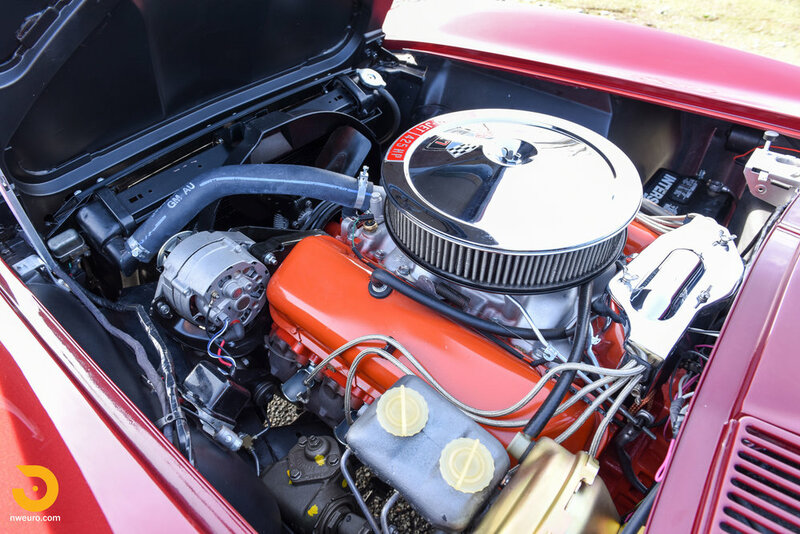 Matching of components has been verified for the April 1966 build date, and all mechanicals have been completely refreshed while the body was off the frame for the restoration. 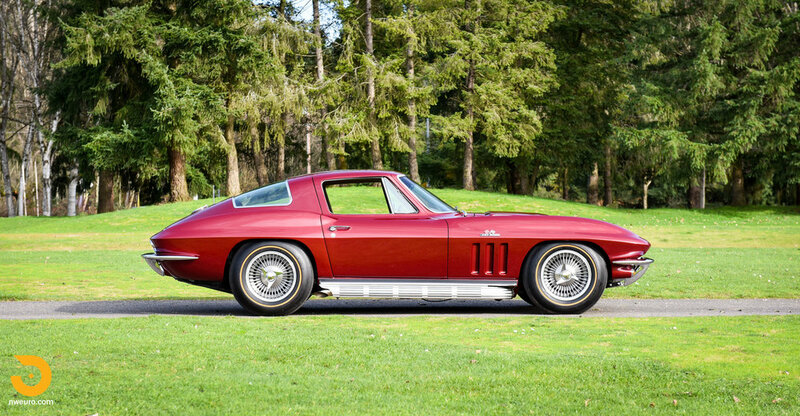 The car retains original glass throughout (except for front windshield, however it is a proper date coded replacement part), and presents handsomely in the factory color combination. 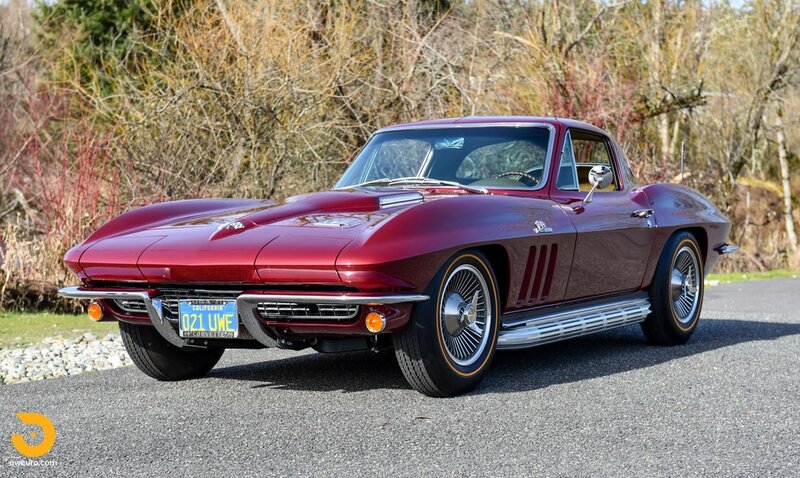 Understood to be three owners from new (first two owners in California), the current owner bought the car in California as a very original car in good condition. With the idea of a “minor refresh” in mind, one thing led to another, and a full frame off restoration was undertaken. 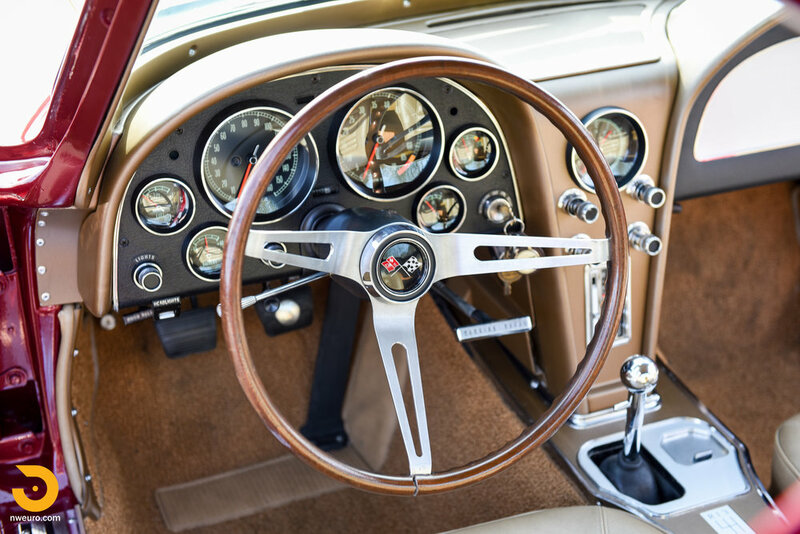 All original items were carefully restored and/or refinished, and care was taken to replicate details from the original build in 1966. This car is ready to be relished now with no excuses in terms of performance or looks. 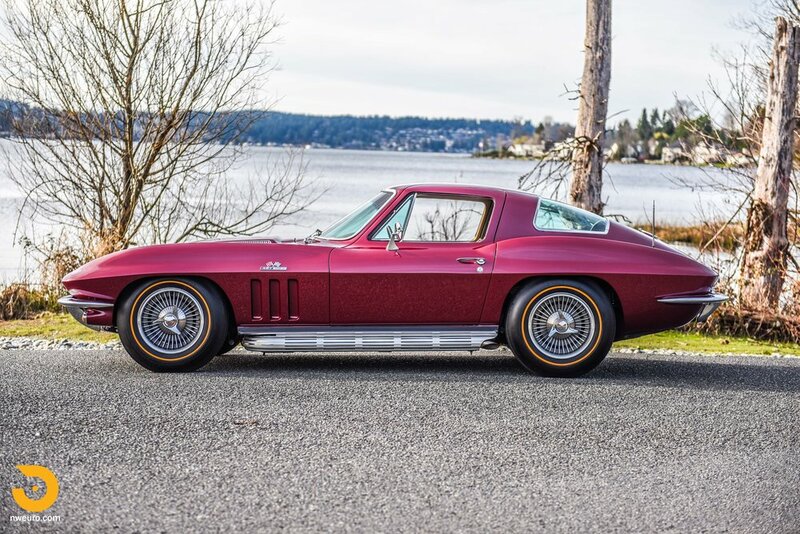 It is looking for the next caretaker to drive, show, and enjoy this exceptional 1966 big block Corvette for many years to come.